In a mixing bowl, combine all ingredients except the bread. Allow to sit at room temperature for 30 minutes. Drain through a sieve to rid of excess liquid. Slice baguette into 1/2 “slices. Brush each slice with olive oil. Toast until slightly browned. Place 1 tbsp. 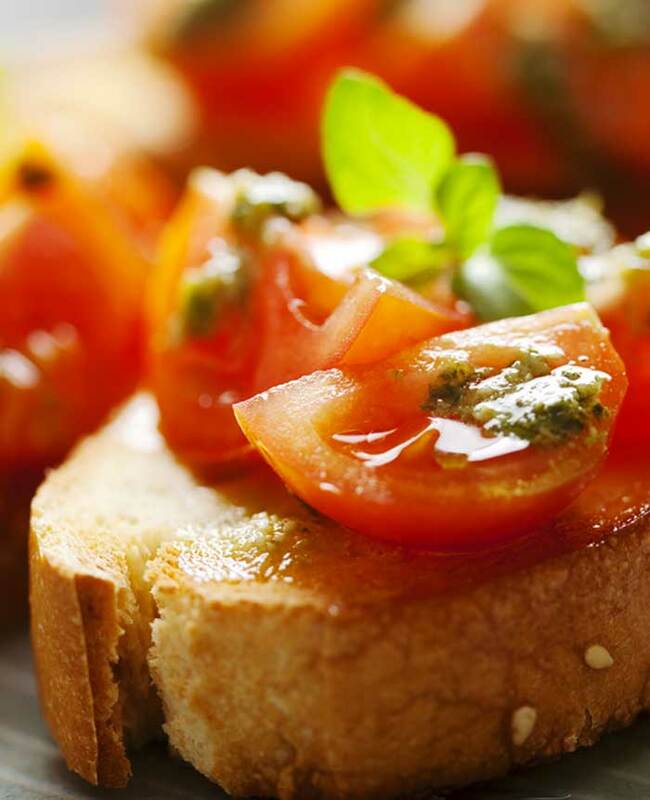 of tomato mixture on top of each crostini. Serve.